Czech Republic striker Matej Vydra believes Harry Maguire is the key to exposing England after declaring the Leicester City defender as the Three Lions’ weak link. England face the Czech Republic at Wembley Stadium on Friday night in their first game of the 2020 European Championship qualifiers, with both sides tipped to finish in the top two of their group. Vydra and Maguire are likely to be in direct competition during the game, just as their two teams were last weekend when Burnley faced Leicester at Turf Moor last weekend. Maguire was sent off just four minutes into the match, though the Foxes went on to win 2-1 thanks to Wes Morgan’s late winner. 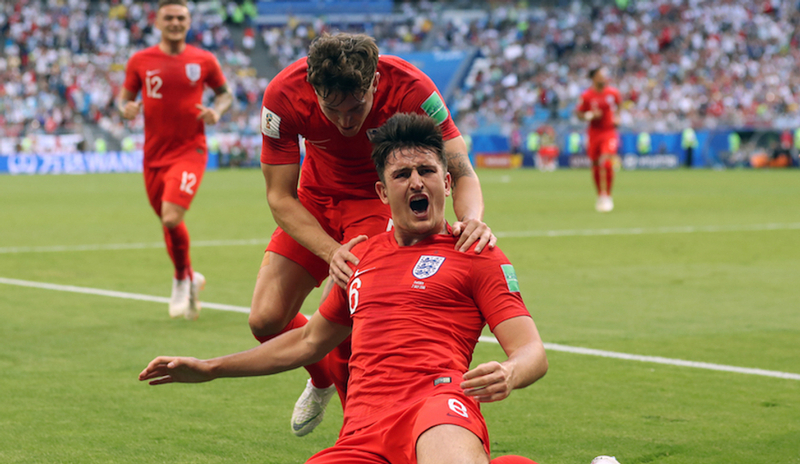 The former Sheffield United defender was one of England’s heroes on their journey to the World Cup semi-finals last summer, starting in a back three alongside John Stones and Kyle Walker and scored in his country’s 2-0 win over Sweden in the quarter-finals. Despite the strength of England’s attack, Vydra says their defence doesn’t match up in terms of quality and feels they can be got at, with Maguire a particular target for his criticism of the team. "Kane is top, Rashford as well, Sterling is in a great form. The attack is very strong. Defence, I don't say it's not strong as well, but it's not as strong as the attack," he said. "For example, Maguire. We talked about him at Burnley before we played against Leicester. In some moments it seems he doesn't know what's happening behind him, that's why he got a red card after five minutes in the match against Burnley. With Manchester City’s Stones and Liverpool’s Joe Gomez both ruled out through injury, Maguire looks a certainty to start the game at Wembley on Friday, as does Vydra for the Czechs. Who plays alongside him remains to be seen, with Everton’s Michael Keane and Burnley’s James Tarkowski the favourites to partner him in a back four, while West Ham’s Declan Rice can also play at centre-back. Ironically, England’s ‘weak link’ Maguire has scored more Premier League goals than Vydra this season, netting three times for Leicester to the Burnley forward’s one in the 2018/19 campaign. Maguire has also lost just two of the 16 England games in which he has started under Gareth Southgate, with the defeats coming against Belgium and Spain in the World Cup and Nations League respectively.